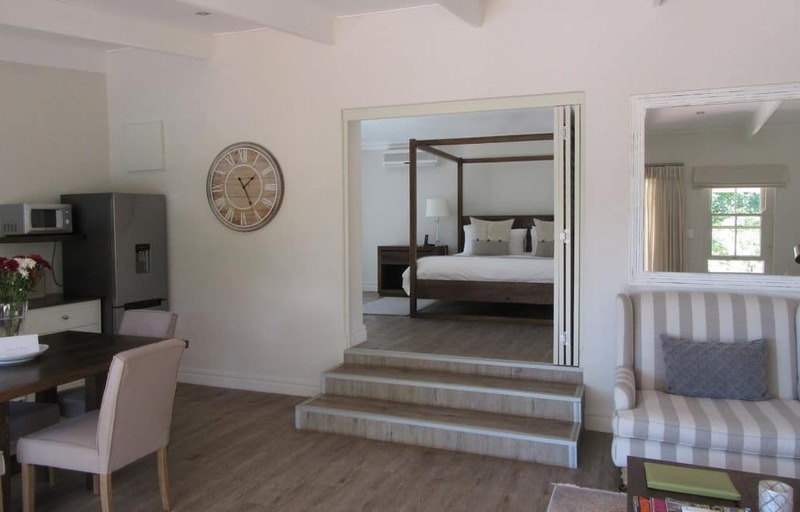 Angala is situated adjacent to the Vrede en Lust Winery beneath the imposing Simonsberg, this is the perfect spot to explore the Cape Winelands. 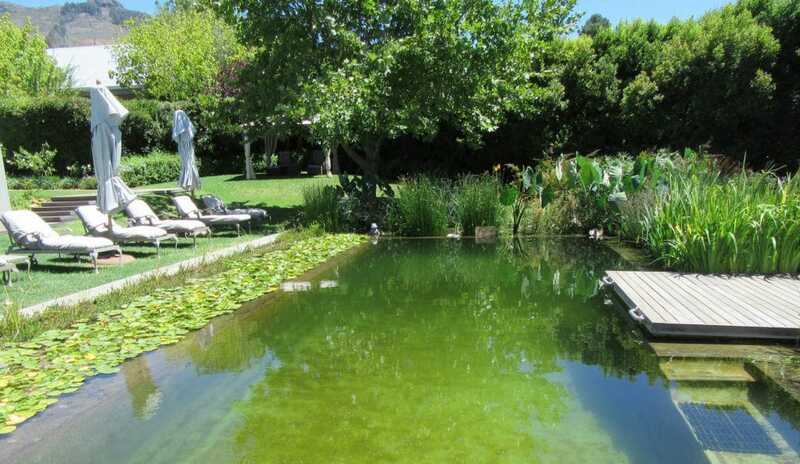 Angala is a unique property just 15 minutes from Stellenbosch, Franschhoek and Paarl and just a 45 minute drive to the center of Cape Town. 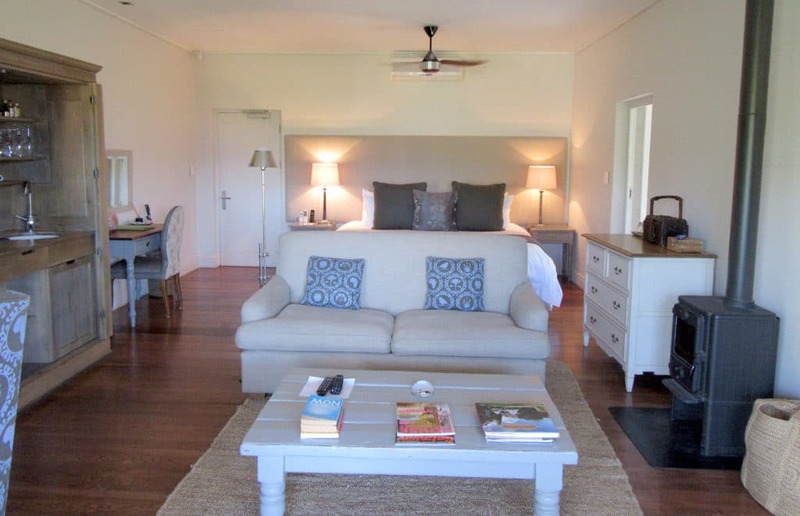 The 11 rooms are set in beautifully landscaped grounds overlooking the stunning Franschhoek Valley. 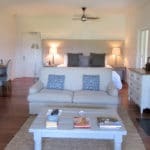 The accommodation ranges from large well appointed rooms to suites, most with small porches where you can sit and enjoy the scenery and abundant birdlife, There are two pools. One is an infinity pool situated next to the infrared sauna and steam room and the other is an eco pool which uses the natural filtering system found in mountain streams. 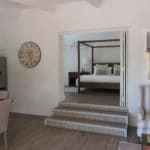 The accommodation is provided on a bed and breakfast basis, and you are guaranteed to enjoy the sumptuous breakfasts, but the restaurant also provides excellent dinners. The property well deserves its 5 star rating. 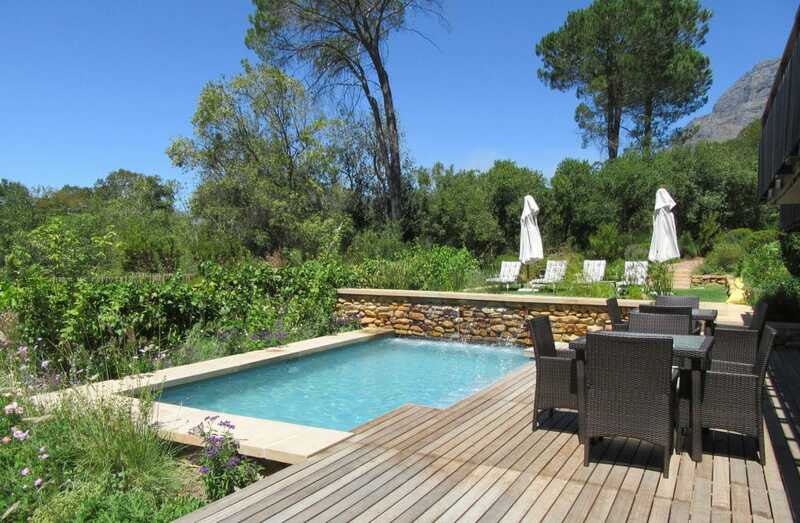 Enjoy a visit to the adjacent Vrede en Lust Winery but close by you will find the rated wineries of Backsberg, Glen Carlou and Boschendal where you can enjoy a splendid picnic at the weekend. 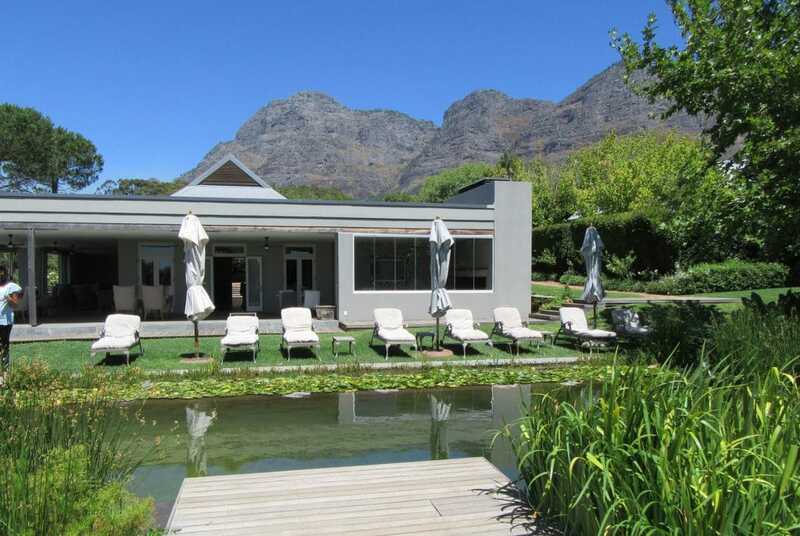 All along the road to Franschhoek you will see many wineries producing some of the highest rated wines in South Africa. 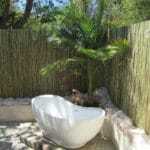 You can also enjoy this area by taking the Franshhoek Wine Tram. 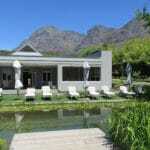 Franschhoek is steeped in history and is home to many excellent boutique shops and restaurants. 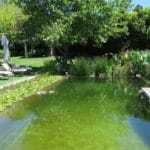 This is a good place to explore the Winelands, Cape Town, the Peninsula and even the beautiful countryside of the northern winelands. 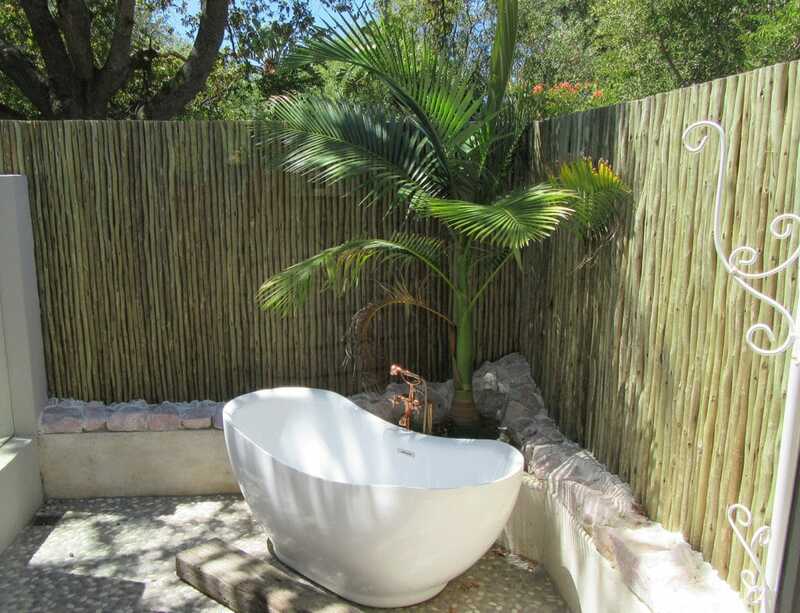 So, Angala will provide an excellent base without the need to stay in separate accommodation in Cape Town.